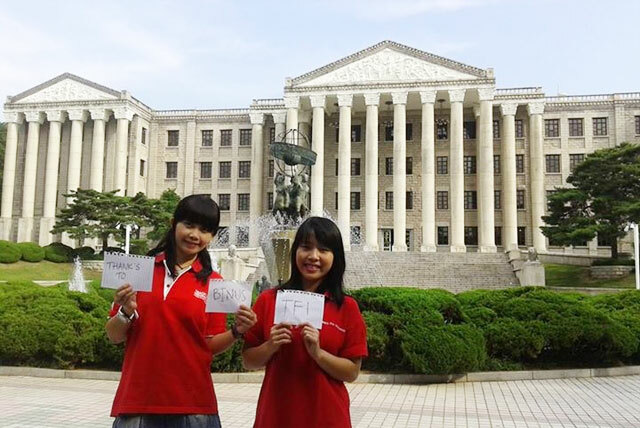 BINUS UNIVERSITY through its Community Program, Teach for Indonesia (TFI) participated in the 2nd Youth CSR-Conference which took place from 3-4 July 2014 at Kyung Hee University in Seoul, Republic of Korea. 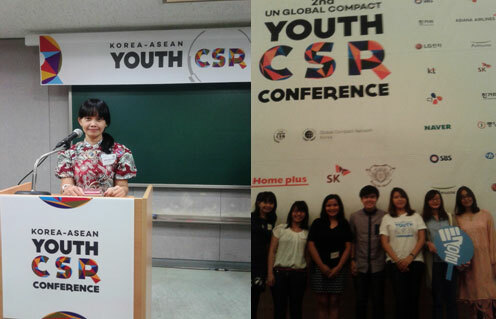 With the growing importance of Corporate Social Responsibility (CSR) in business strategies and operations, this conference aims to provide students wishing to become aspiring leaders with a unique platform to share their expectations, endeavors and responsibilities on CSR and corporate sustainability in the areas of human rights, labor, the environment, anti-corruption and development. Commencing with video messages from UN Secretary-General Ban Ki-moon and UN Global Compact Executive Director Georg Kell, the 2nd Youth-CSR Conference included a CEO Dialogue Session as well as five breakout sessions inviting companies, governments, civil society organizations, NGOs, and academia to discuss the latest trends and best practices of CSR and corporate sustainability. Delegation of BINUS, represented by Maria Intan Setiadi and Wenny Carnika, presented the best practice of BINUS CSR in the presence of approximately 1,000 participants coming from various countries. 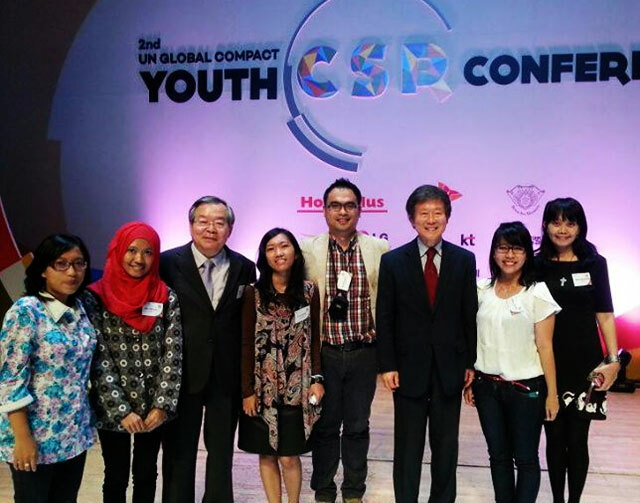 This conference encouraged future generations to bring attention to and participate in CSR issues such as Public Marketing, CSR in the Age of Big Data, Social Enterprise & Co-operative Union, Ethical Sourcing & Consumption, Post-2015 Development Agenda & Public-Private Partnership, and CSR Cooperation between Korea & ASEAN, as well as provide opportunities to create a sustainable society and future through students and corporate connection.